An extremely well presented, ground floor apartment which has the rare benefit of a private courtyard garden. This property has been significantly improved and upgraded by the current owners and is ideally located just a few minutes’ walk from East Grinstead town centre and mainline Train Station. 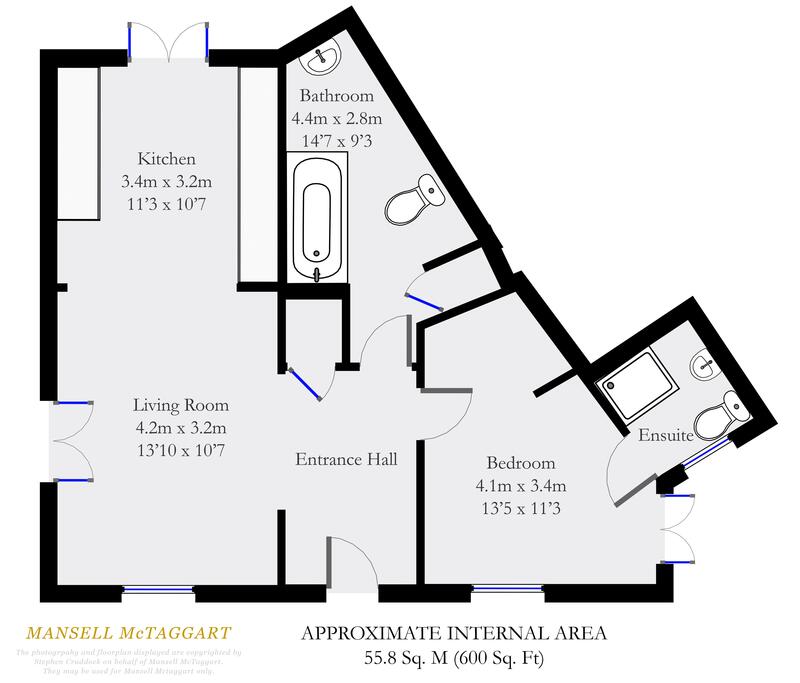 The apartment briefly comprises: private entrance hall/study area with cupboard storage; triple aspect and open plan living/dining/kitchen with two sets of French doors plus integrated appliances; dual aspect master bedroom with dressing area, upgraded ensuite shower room and French doors to the garden. Further to this, there is an impressive refitted family bathroom with utility cupboard and slate tiled floor. Externally the property benefits from a private and low maintenance, courtyard garden with gated side access. The property further benefits from an allocated parking space and communal bike storage. From our office on London Road proceed through the traffic lights and turn left at the mini roundabout onto Railway Approach, where Overton Court can be found on the right hand side.